We launched the Lynda.com online tutorial site at Swarthmore nearly five years ago. A reminder: everyone who is a student, a faculty member, or staff has access to the entire library of videos. Since we launched, we have watched 56,443 videos (over 4000 hours), completed 436 courses, and averaged 16 minutes per visit together. 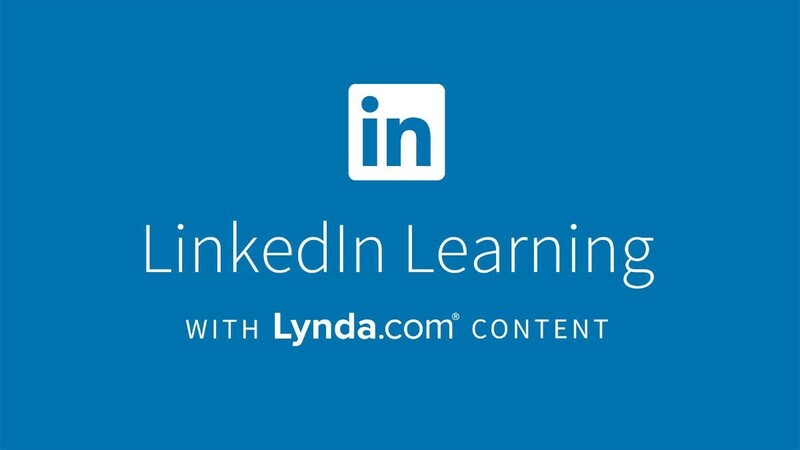 Lynda.com was purchased by LinkedIn and is in the process of rebranding. As the rebranding continues, we will come to know this set of videos as LinkedIn Learning (currently: LinkedIn Learning with Lynda.com Content, past: Lynda.com). At the time of this post, there are 6,526 courses and 212,334 video tutorials available to you. At the beginning of our usage here at Swarthmore, we tended to use the content on LinkedIn Learning to help answer questions about Microsoft and Adobe products quite a bit. But now, we are looking at everything from 3D modeling software to negotiating job offers to mobile device photography. The amount of content available to you continues to grow, and the partnership with LinkedIn allows you to post your Certificates of Completion on your LinkedIn profile. This can be very useful for our seniors, our young alums, or anyone else who is looking for jobs, and these instructions show you how easy it is to do. Another hot tip is that you may use a mobile device to download videos for offline watching. We still use the Lynda apps here at Swarthmore. This is particularly helpful when traveling or when you will not have access to data or wifi, or for when you feel like queuing up a playlist for later. Try it out! Of course, we know you will want to know how to free up space on your device after you finish watching. Here is how to free up space.